Conigital Group has been awarded funding by the UK Government via Innovate to deliver an innovative and cutting edge AI solution for automated vehicles as part of its driverless vehicle platform. The Innovation Birmingham-based SME is developing a range of inclusive and accessible solutions, including a virtual concierge, (called Gemma similar to KIT from the popular Knight Rider series), a patented 4D tactile map for blind and partially sighted users, a Mobility as a Service app, as well as a fleet management system facilitating the coordination and the telematic health of autonomous vehicles. 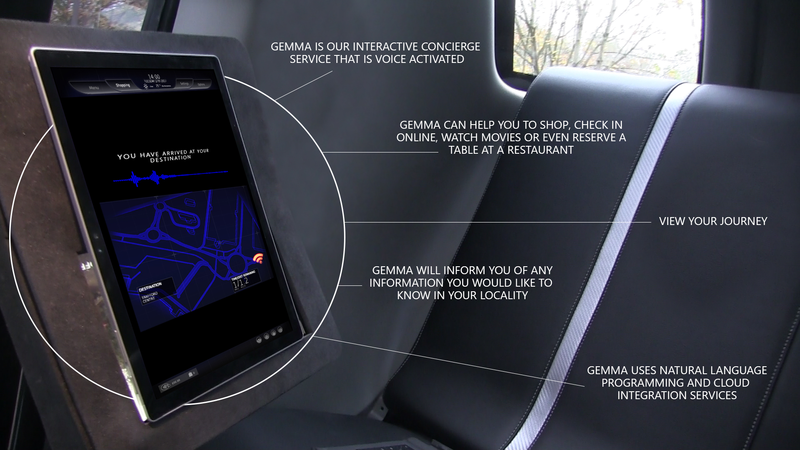 The Gemma Virtual Concierge (pictured above) provides a tailored customer experience for users. By talking to the app or device; Gemma will provide interactive access to travel advice, news and games (infotainment), the internet and premium services at the destination, such as duty-free shopping and personal shopper requests. The development of Conigital’s solution is being funded by three projects: Project CAPRI worth £5.7 million, Project Synergy worth £4.7million and Project INSIGHT worth £2.2 million. Each collaborative project includes a range of partners and clients including Manchester Airport, Birmingham Airport; Heathrow Airport and The Mall shopping Centre in Bristol. Monique Seth, Conigital Partner, believes that, “Conigital we are very focused on the passenger interaction and their experience while on the journey. So for example on Project Synergy, Gemma, our virtual concierge service will be able to have a conversation, check-in online and do your duty free shopping. Each project responds to the technological and customer needs for driverless shuttle pods at high traffic destinations such as airports, hospitals, business parks and shopping centres. As part of Project Synergy, Conigital will work closely with a range of partners including Westfield Sports Cars, Fusion, Harper Adams University; Transport for Greater Manchester, Manchester City Council and Stockport Borough Council to develop driverless connected autonomous vehicles. The project will use the latest sensor technology to allow three low carbon electric sports vehicles to drive in close formation between Stockport Railway Station and Manchester Airport.